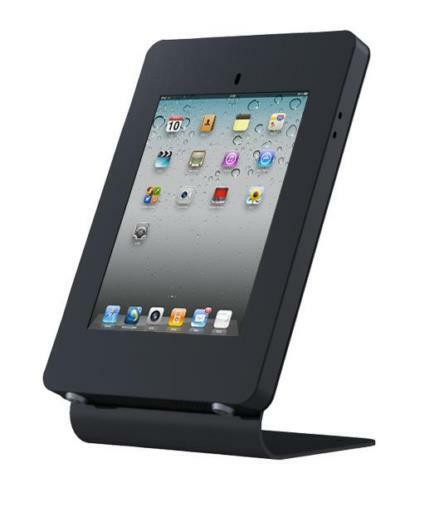 [ Displays > iPad I Les displays pour la tablette légendaire ! 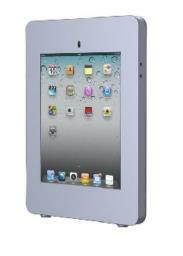 Our self-service kiosk for business uses was designed for the iPad 2 & the new iPad and has a smart and slim design. It is made from powder-coated metal and aluminum. In the Free Standing Version the Power cables are routed through the foot for tamper-resistance. The home button of the iPad is covered to keep the customers in the running App or Slideshow. That and the fact that the iPad is safely locked inside the Kiosk make it the ideal solution for public areas. 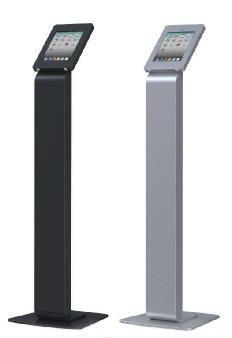 The iPad Kiosk is easy to install (with no visible screws) and is available as a free-standing as well as a table- or wall-mounted version. It is moisture proof, antirust, acid free, anti-dust and static free. 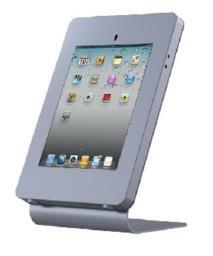 It supports the iPad 2 WIFI & 3G and the New iPad WIFI & 4G version. The iPad has good access to WIFI, Bluetooth, 3G etc. Nous vous adresserons votre offre pour vos iPad Displays dans les meilleurs délais.